The Oklahoma Highway Patrol reported a personal injury collision occurred about 1:16 p.m. Saturday on State Highway 11, about 0.4 miles south of County Road 2200, which is 0.6 miles south and 1.2 miles east of Avant, OK in Osage County. The patrol said the accident involved a 2001 Dodge Ram 1500 driven by a 16 year-old juvenile male whose name has been withheld, of Skiatook, OK. The driver was transported by Miller Ems to Saint Francis Hospital Tulsa in stable condition, where he was treated and released for trunk internal injuries. 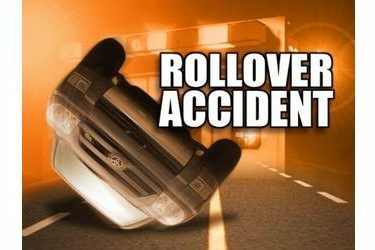 A passenger in the vehicle, June Lawson, 69, of Skiatook, OK was transported by Miller EMS to Saint John Hospital in Tulsa in stable condition, where she was admitted for head and trunk internal injuries. A second passenger in the vehilce, a 17 year-old juvenile female whose name has been withheld, of Skiatook, OK was transported by Miller EMS to Saint Francis hospital Tulsa in stable condition, where she was admitted for head and trunk internal injuries. The Highway Patrol’s report stated that the vehicle was southbound on State Highway 11 when, for an unknown reason, it briefly departed the roadway to the right. The driver of the vehicle over-corrected, causing the vehicle to depart the roadway briefly to the left. Again the driver of the vehicle over-corrected, causing the vehicle to enter into a broad slide and then roll one full time, coming to rest on its wheels. Seatbelts were equipped and in use by all occupants. The cause of the collision is attributed to inattentive driving.